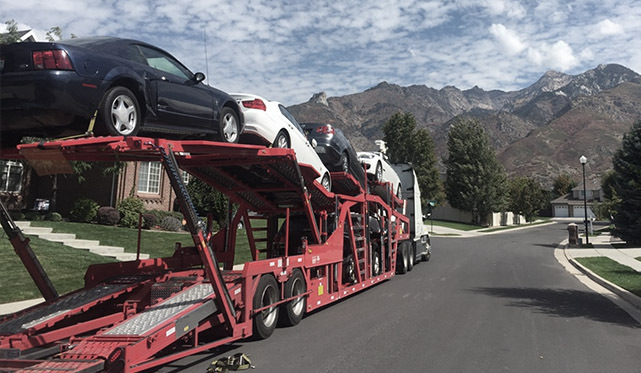 It is the most common auto transport in the United States, in fact 95% of the dealer auto transport moves are being transported via open carrier. Open Transport is less expensive compared to enclosed transport, auto transport costs could be quite frustrating, especially over a long distance. Enclosed transport is more expensive, on a given move the price difference between open and enclosed transport could be over $500. Wondering why the price difference is so big? Insurance is more expensive for open door to door auto transport, which is already included in the auto transport quote. There are a lot more open carriers than enclosed, which brings down the cost immediately, enclosed car hauler equipment is also a lot more expensive itself, thus for prices are higher for enclosed transport compared to open transport. More Options with open transport. It is very important for the client to be aware that open door to door auto transport’s availability is a lot higher than enclosed carriers. Open carriers are available in any city, within a few days at most, if you need your vehicle picked up and dropped off in an urgent matter, open transport might be the option for you. Big time companies like CarMax, Enterprise, Budget and many more, transport all of their inventory via open carriers because it is proven to be very time and cost effective. 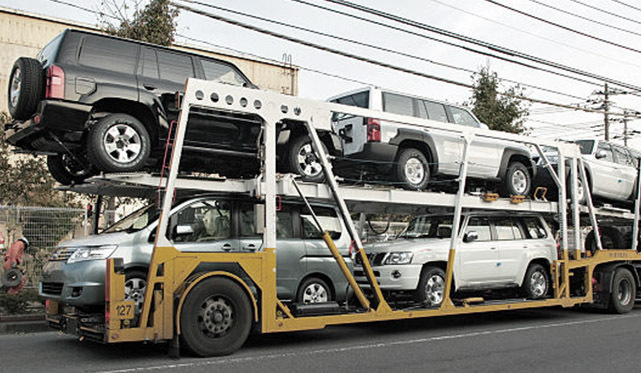 Open transport is very suitable for vehicles that are worth less than $80,000. By going with open door to door auto transport, you ensure yourself a timely pick up with a large variety of drivers on a given route, clients have the ability to choose the driver that fits their schedule. The automobile will also be fully insured throughout the transit, clients could rest easy knowing that their vehicles are fully insured and if there are any new damages to the vehicle, it will be covered by the driver’s insurance policy. Differences in the size of car-haulers. There are different types of open carriers depending on the distance the vehicle should be moved. Long hauls, 500 miles or more are typically transported on 7-10 double deck car haulers. Big rigs are being used for long distance, the tractors are made convenient for the drivers in order to stay on the road for a long period of time. 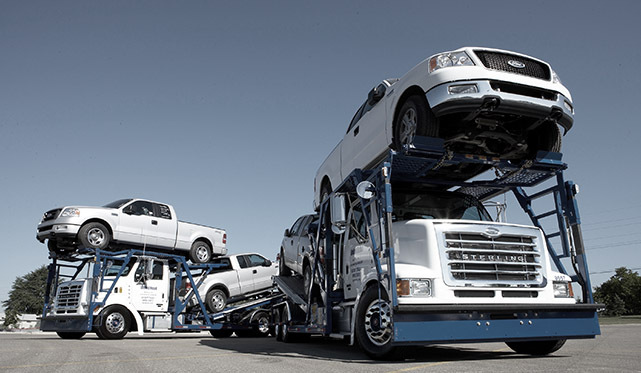 They can load more vehicles on a single trailer, which brings down the rate per mile for your auto transport need. This is a very important rule of the auto moving industry every client needs to keep in mind. The longer the distance the lower rate per mile, the shorter the distance the higher rate per mile. 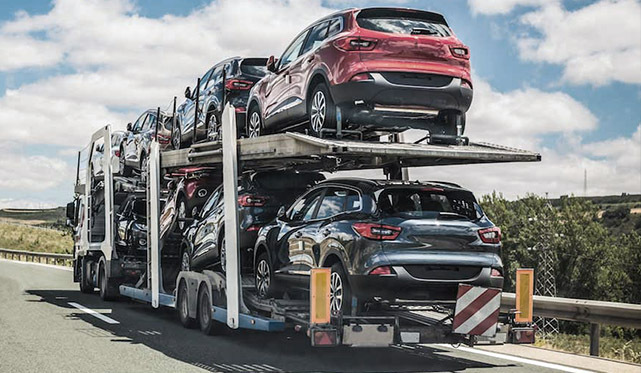 If you are transporting your vehicle over a shorter distance, 500 miles or less, most likely the car hauler that will be hauling your vehicle will be 3-5 car carrier, single deck being pulled by a heavy duty pick-up truck. Smaller trucks, run shorter distances with a quicker pick up and drop off transit timing. There is also a difference in the cargo insurance depending on the size of the hauler, if the car hauler carries 3-5 vehicles insurance limit will be a minimum of $150,000. If the carrier is hauling five to ten vehicles at a time, insurance minimum will be $250,000. The size of your hauler is determined at the time of driver assignment, please advise ahead of time if you have a particular preference. You can get your free car shipping quote now by using our online calculator. While with enclosed trailer you are 100% worry free that something might happen to your vehicle, the truth is that going with open carrier is very safe and annually TCI Logistics’ damaged vehicles rate is at .6%, and only .3% rate for settled damages through and insurance claim. In fact nearly 95% of transported vehicles by TCI Logistics for dealerships nationwide are transported via open transport. Dealerships find it ideal because it is the most economical and fast transport while keeping the safety at a high level. 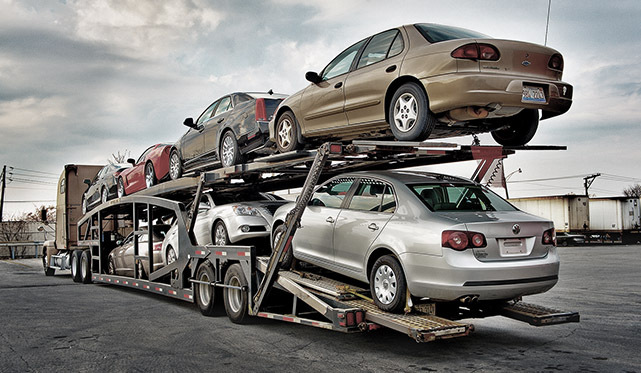 However, we always ask our clients to keep in mind that we are transporting your car on an open trailer that exposes it to potential damage during moving from unexpected weather and debris from the open weather. The amount of available drivers for this transport is much higher than for enclosed. Sometimes if the pick-up area is not a big metropolitan area, pick up might take up to a few days. In most cases, open transport is faster because of the ease loading up open transport trailers. Dispatchers work hard to align a proper load of multiple vehicles that need to be picked up around the same time and delivered around the same time, enclosed transport is more rare, thus for it takes longer for the truck to be loaded and on its way to the delivery point. Does size of my vehicle matter if I go with open vs enclosed? Open trailers are made to ship very versatile vehicles. 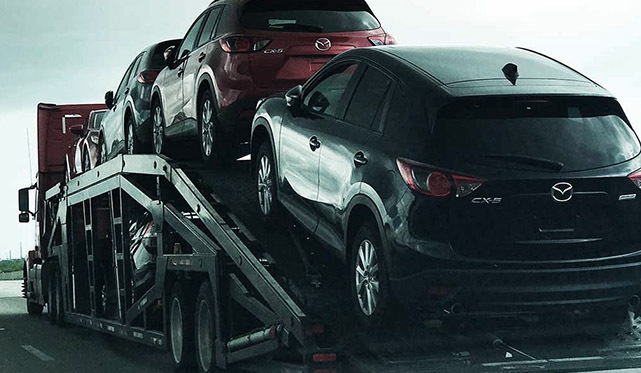 If you have a modified SUV that is lifted or very big in general, it might take longer because enclosed trailers are very limited when it comes down to loading bigger vehicles. With open caarrier, you will always be asked if your car is higher than 80 inches. If it is, it will be more expensive to transport your vehicle. If it is under 80 inches, any trailer could load on your vehicle which ensures that your vehicle is picked up and transported in a timely manner. Open trailers have the ability to ship big pick-up trucks with very high lifts and wide base tires. Feel free to reach out to TCI Logistics in regards of your oversized vehicle transport. It is the client’s choice. 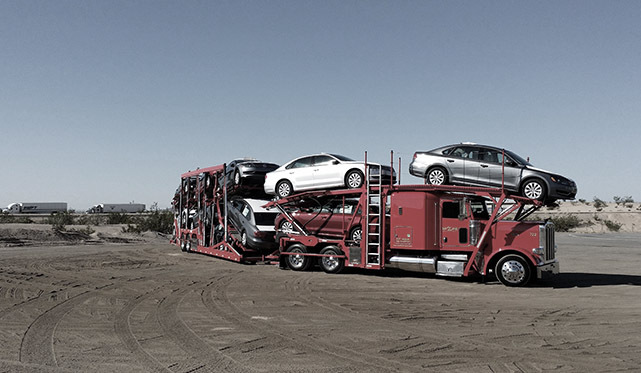 TCI Logistics will provide the options that we have for your auto transport need, however, it will be up to you and your pocket if you will be going with open or enclosed trailer. In both cases there are some pros and some cons. Please reach out to our auto transport specialist to get your free shipping quote via our online chat or 312-224-8620, we will be happy to assist you and answer any questions you might have for your auto transport needs.